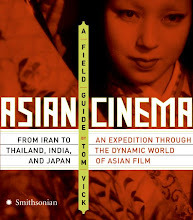 After a two-year hiatus, I am officially resurrecting my blog with the announcement of my upcoming book, ASIAN CINEMA: A FIELD GUIDE, which will be published on January 8, 2008 by HarperCollins. Look for it in bookstores then, or you can pre-order now at Amazon. Really. [url=http://cgi3.ebay.fr/eBayISAPI.dll?ViewUserPage&userid=acheter_levitra_ici_1euro&achat-levitra]acheter levitra[/url] I consider, that you commit an error. Let's discuss. Today it's more particular to trust remarkable medical companies http://ipod-playlist.com/viagra.html Discount Viagra Pharmacy On-line, especially those who present their meds online. Just found this forum. Hi!! this is really nice information...!!!!!!! !